Flossing along to a fun song is a great way to make flossing fun. Choose a slow, steady beat to help your child keep a measured rhythm as they work the floss back and forth between their teeth. If the song is too fast, it encourages them to floss too harshly which can damage gums. Flossing along in time with a song helps them stay consistent, which leads to a cleaner mouth. Make flossing a story about good versus evil. The evil, of course, is plaque and tooth decay, with the good being floss. Your child will relish the power of being in control by making floss the hero of the story. Place a progress chart in your child’s bathroom, then mark each day they floss with their favorite stickers. Once they reach a certain number of consecutive days of flossing, reward them with either a small monetary incentive or, better yet, one that doesn’t cost money like a later night up on weekends or an extra story at bedtime. Parents can get in on then fun too by following a chart of their own. 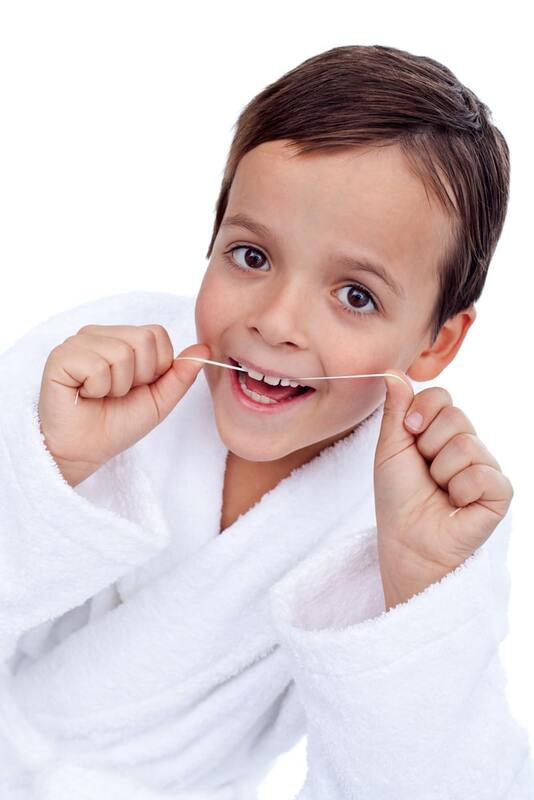 Not only will your flossing habits improve, but your child will be extra motivated by the friendly competition. To learn more about ways to making flossing fun, or to schedule an appointment, contact Dr. Stanley Hirst, DDS, and Bethany Jensen, DDS, at Broadway Family Dentistry today by calling 701-839-1299 to schedule a check-up. Your Child’s First Dental Visit: Getting It Done in Year One What Exactly Is Tooth Enamel?